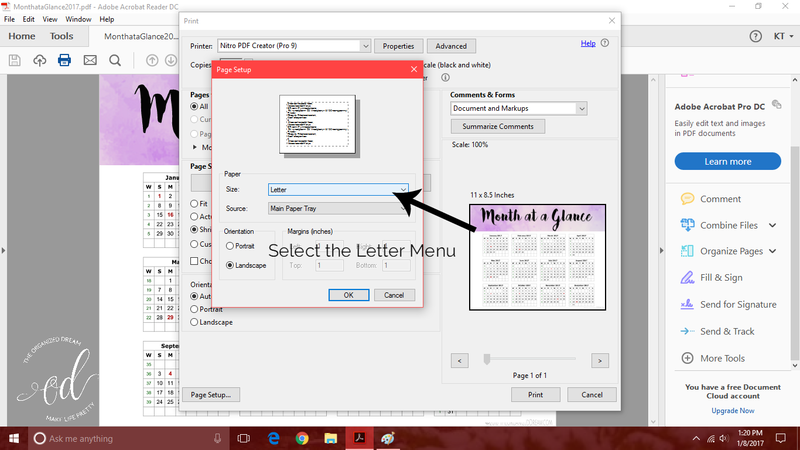 With this easy-to-follow tutorial, you can print planner pages, sticker sheets and more! Did you find a really pretty printable to decorate your home, but don't want it too big? 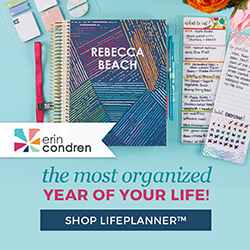 How about planner pages? You can use this tutorial for them all! 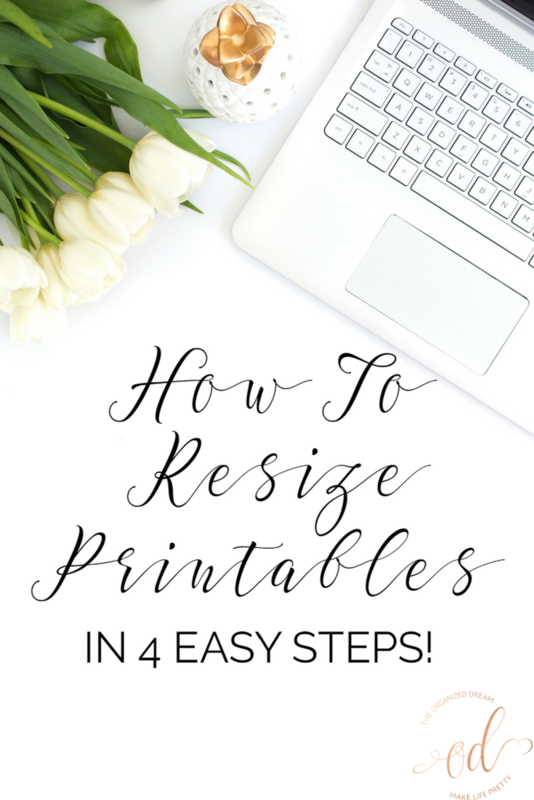 I've had quite a few people ask me lately about resizing printables. Today I'm going to show you an easy way to do so. This method can be used to resize any printable in PDF form. Select the PDF you want to resize from your library. 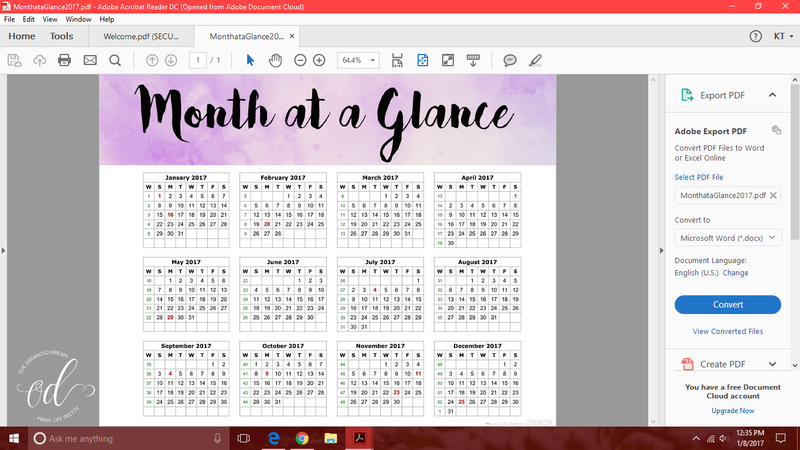 In this example, I've selected the Month At A Glance page from my calendar. Select the print icon at the top, left corner of the screen. This will open your print screen. Select the Page Setup button at the bottom of the popup. Then, where it says Size, select the drop down menu where it says Letter. From there, you can select what size you want your printable to be! There are a load of options including A4 and A5 sizes that are perfect for making your printable fit into a smaller planner! Once your size is selected, you can hit print. You're done! 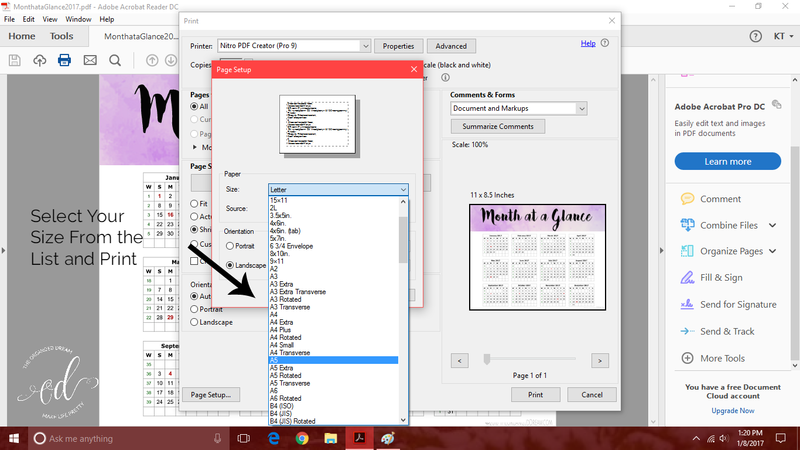 Continue to do this for each printable you need! Easy peasy! I hope this little tutorial helps you out! 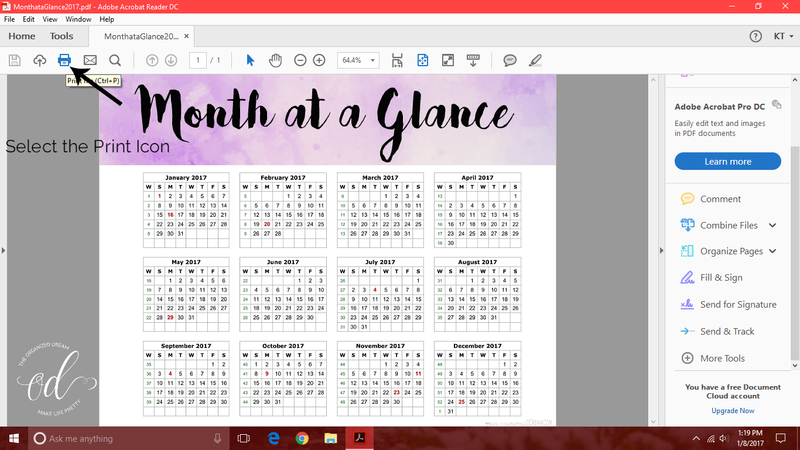 Don't forget to check out my new free 2017 Personal Planner, Blog Planner and 12 Month Calendar printables! You can also purchase sticker sheets for your planners in my Etsy shop. We've recently added Valentine's Day stickers! Great tutorial! Thank you for sharing ~ this is something we all struggle with from time to time. This is one of those tasks that you don't complete often enough to remember for the next time. thank you for the great tutorial. I'm excited to find your tutorial. I'm pinning now so I can create many different sized printables. Yipee! Thanks for sharing at the #ThisIsHowWeRoll Link Party. Yay! 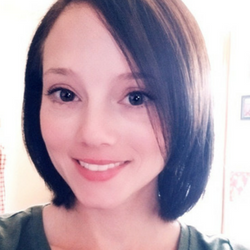 Thanks for pinning and I hope you can use this over and over again!